Pressure washers are the perfect pieces of equipment for all sorts of cleaning jobs around your home. Whether you’re in the market for a small, light duty pressure washer or a professional grade pressure washer to help with heavy chores, there are some basic features worth considering to help you figure out which DR Pressure Washer is right for you. Pressure washers come in a wide variety of PSI (pounds per square inch) levels. 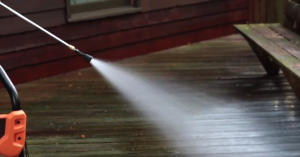 The PSI level you’ll need depends on the type of project you need your pressure washer for. For basic cleaning tasks, a small machine with a PSI between 1,000 and 1,900 would be appropriate. For heavier duty cleaning or large areas a 2,000 to 3,200 PSI pressure washer would give you more optimal results. When it comes to stripping paint, removing grease stains and cleaning stubborn marks off concrete floors, nothing short of a PSI between 3,200 and 3,800 will do. 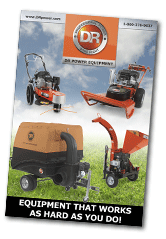 Our new DR Pressure Washers are available in 4 models. The Pro-2900 and Pro-3100E models are designed for the homeowner. These models are powerful enough for any residential application. For more power, you may want to consider a professional grade model like the Pro-XL 3600 or the Pro-Max 3800 PSI Belt Drive. Our power washers are built in the U.S. and have high-quality DR Engines. 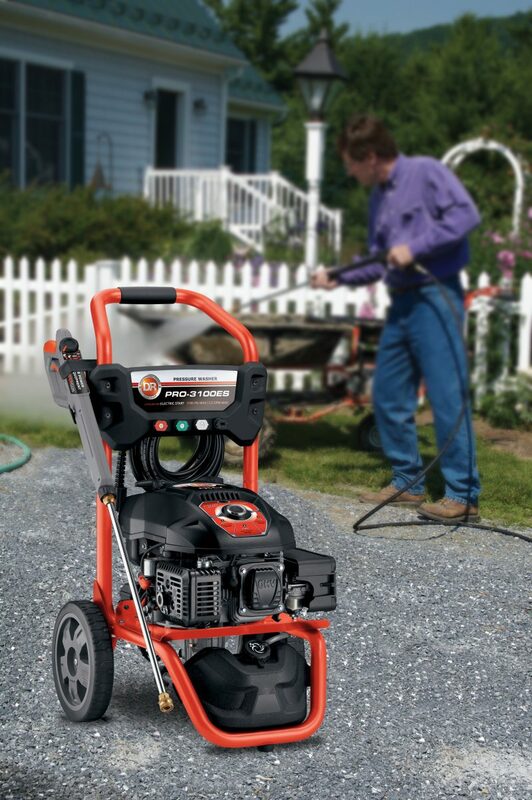 How portable do want your pressure washer to be? If you’re only going to be cleaning a small area, you can settle for one of the many electric pressure washers available on the market today. This type of washer is powered by an electrical outlet and therefore features a cable which won’t allow you to wander very far. This will limit how much you’ll be able to do with your pressure washer. On the other hand, if you plan on cleaning a large area, you’ll need to move around freely, making one of the many gas pressure washers available the best choice for you. Powered by gas or diesel, this type of washer allows you to move as far away from your home as you want, while still being able to use the machine. Pressure washers come in a wide variety of models, some of which come with a series of accessories and attachments and some of which come as standalone machines without any add-ons. DR Pressure Washers are a complete system with a variety of innovative cleaning tools available. 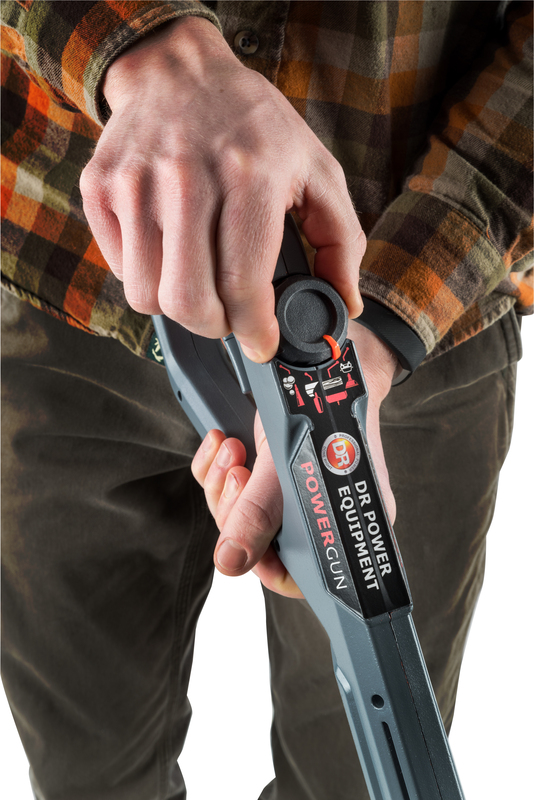 The PowerDial Gun puts the ability to change water pressure, quickly and easily, right at your fingertips. The ergonomic design and cushion grip means you can clean longer with less fatigue. 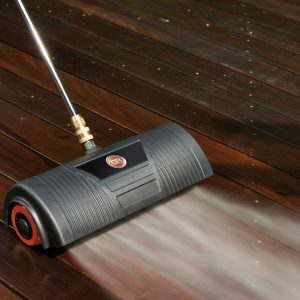 The Power Broom attachment is designed for cleaning large surfaces such as decks and driveways. This time-saving tool gets the cleaning done up to 4X faster! The Turbo Nozzle uses a high-pressure rotating jet to scrub away grime and cut cleaning time up to 30%. The Soap Blaster nozzle shoots soap 3x farther and agitates it into an active foam. Now that you know the main features worth considering when purchasing a DR Pressure Washer, you’ll be armed with enough information to get out there and buy the best machine for you.